Brooke Nazos is a freshman at Batavia High School. She is one of the top freshman runners on the Batavia High School cross country team. This year was her first year as an official high school athlete. 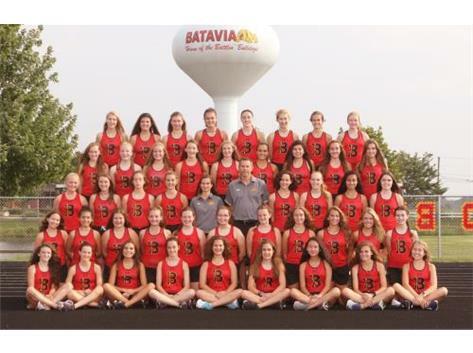 This year the Batavia frosh/soph team took third at the conference meet, with Brooke as the number three runner. Her season wrapped up as she placed 15th overall with a time of 20:10. Here is a look into her first season of high school cross country. Q: How long have you been running cross country for? When did you start? Q: What are three words you would use to describe your first season of high school cross country? Q: What has been your favorite part of cross country this season? Q: In your opinion, what is the biggest difference between high school and middle school cross country? Q: Based on your experience this year, do you think you will continue cross country throughout high school? Very nice little article. Glad to see some Q&A with one of the many great individuals that make this a great team and keep the program as an excellent experience for all.